for $499,900 with 4 bedrooms and 3 full baths, 1 half bath. 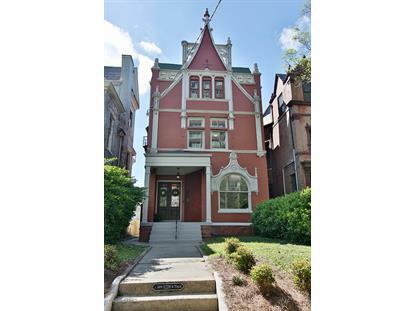 This 3,862 square foot home was built in 1895 on a lot size of 0.12 Acre(s). Welcome to the Widmer Mansion! 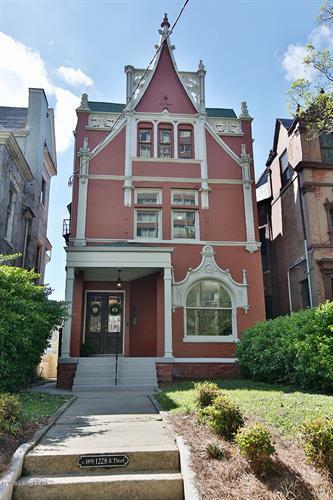 A prime example of Chateauesque architecture circa 1895 this home features all the character you'd expect with modern living in mind. Extensive mill work, stained glass windows, in-laid hardwood floors and 8 original fireplaces showcase the craftsmanship of an era gone by. The first floor boasts restored in-laid hardwood floors throughout the foyer, living and dining rooms. A neutral tone pallet highlights the many striking features this home has to offer. The chefs kitchen is complete with custom cabinets, quartz countertops, a full suite of stainless steel appliances including a SMEG 36'' dual fuel range, wine fridge, prep sink and 10 ft. Island. The 1st floor layout lends well to easy entertaining.